Oral hygiene is essential for oral health, but you may need special dental tips if you wear braces so your teeth, gums, and braces can be clean and healthy. 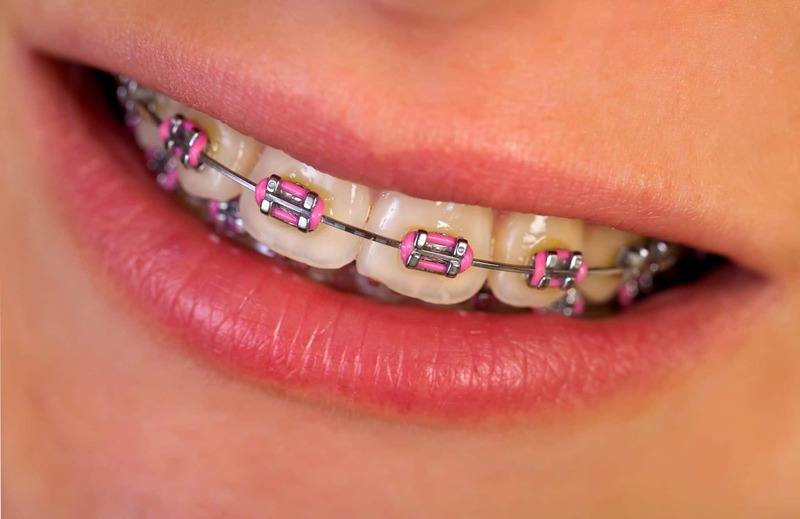 Wearing braces does not have to mean oral care must be complicated. An important step is to make sure you have the right products. You can begin by gently brushing your teeth and braces with a soft toothbrush. Next, use a small toothbrush known as a Christmas Tree toothbrush to clean between the wires and brackets. As dental floss can become tangled in your braces, a water flosser is a good alternative. If you prefer, you can use floss that is specially made for braces. If you wear a retainer, you should not clean it with toothpaste. A better option is to disinfect and clean it with denture cleanser added to warm water. Brush and floss after every meal, and also use a good mouthwash. If you do not brush each time you eat, food can become lodged in your braces, and your teeth may become stained. Home oral care is only one part of dental health. When you wear braces, you must be careful of what you eat. Avoid foods that are hard enough to harm your braces, sticky foods, and sugary treats. A healthy, balanced diet is good for your teeth and gums, and healthy foods will not damage your braces. For the sake of your dental health and your overall health, plan your diet around nutritious foods and avoid snacks. The few minutes you take to care for your teeth and braces after each meal will keep your braces in good condition during the entire time you wear them. It is worth the effort to follow these dental tips. While your braces are working to straighten your teeth, all they require is sensible care each day. With proper care, they will not become bent or broken. When your braces are taken off, you will appreciate the results. You will have a nice smile with straight, beautiful teeth.